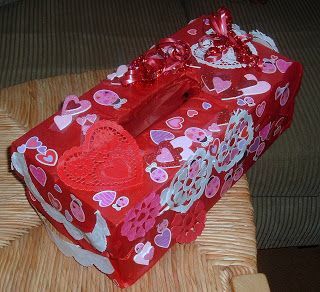 Doesn’t this old decorated shoe box… transformed into a Valentines box bring back memories…especially for you Baby Boomers? It looks almost exactly like the Valentines box I found in the attic when we were cleaning it out to move from Fayetteville to Laurens. I had made it in the fifth grade. That was the year I had my special teacher, Mrs. Williams, who took a shy introverted child and turned her into an out-going gregarious one. She had a stroke prior to the school year and as a result had a withered left hand. Since mother had lost one arm to cancer…she decided to make me her special project that year and as such I got to hand out the valentine supplies and shoe boxes to all my classmates…and then stay after school to deposit all the cards into each student’s box. Those students, who were better in art, helped the students who were struggling and or eating more glue than pasting…So by valentines day everyone’s boxes were ready for deposit. The valentines day party and boxes was one of the highlights of children growing up the fifties and early sixties. It was only after we left that safe secure cocoon of elementary school where everyone had everything given to them they needed to share equally in the valentines day celebration that valentines suddenly became more stressful, tearful, and lonely for many students, young people, middle-aged and older. It became more of a chore than something one wanted to do. Anyone who feels lonely is far from alone. According to a recent study, over half of Americans now say they sometimes or always feel alone, and one in five says they rarely or never feel close to anyone. The new Cigna study reveals loneliness is at epidemic levels in America. One has to have an opportunity to build a long lasting friendship to dispel loneliness…someone you can call at a moment’s notice and talk to and feel connected to ..whether it is a spouse, sweetheart or simply a long-time friend. Architecture is also making the workplaces lonelier than ever before…cubicles or even ‘think rooms’ don’t work unless there is already a true relationship of respect or caring built among its workers. Psychotherapist Traci Ruble came up with an idea called “Sidewalk Talks” in San Francisco where people can pause in their daily lives and talk to someone ( chair to chair on the sidewalks) they just met. It’ s easier talking to a stranger many times than a relative, especially when you are trying to explain why you are feeling lonely. Strong relationships are the glue to a fulfilling life…if we feel left out or alone…it doesn’t matter if we live alone…most people admit to be lonelier around others than when alone by themselves. Personally I seek solitude every single day. I need my “pause” time to reflect on the day and assimilate all my thoughts and feelings. So until tomorrow…the next time you feel lonely…”Don’t eat your heart out” ….go visit a neighbor or friend or simply call that someone from the past or present who you can pick up a relationship with… as if no time has passed at all. Always remember….If you are feeling lonely sometimes…you are not alone.” We are all connected under the sun. 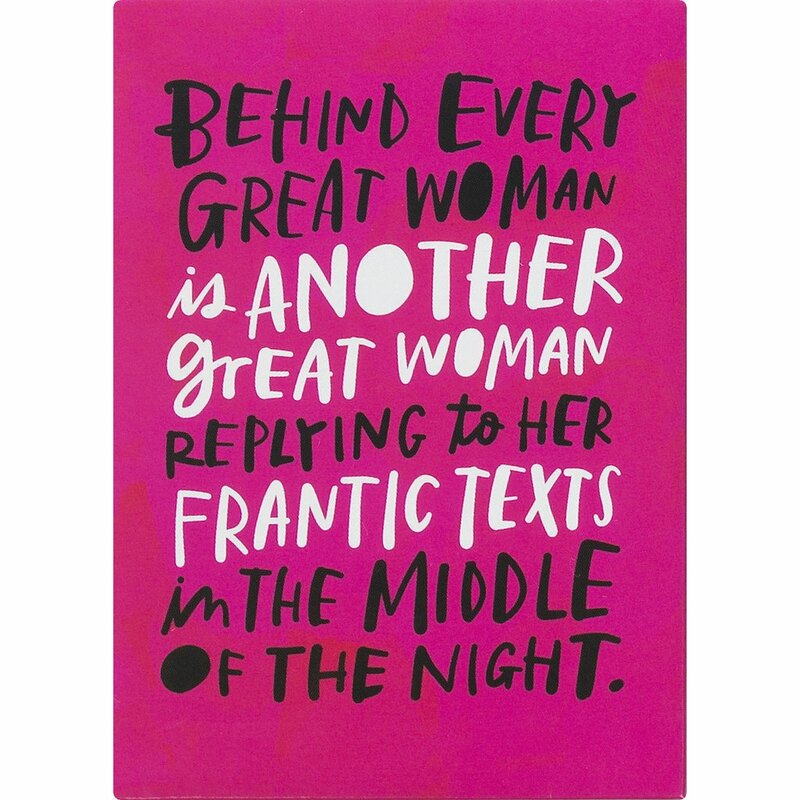 I gave the Ya’s these magnets the last time we were off together…because it is true…if anyone is lonely or feeling down…24/7 we know we have a friend. 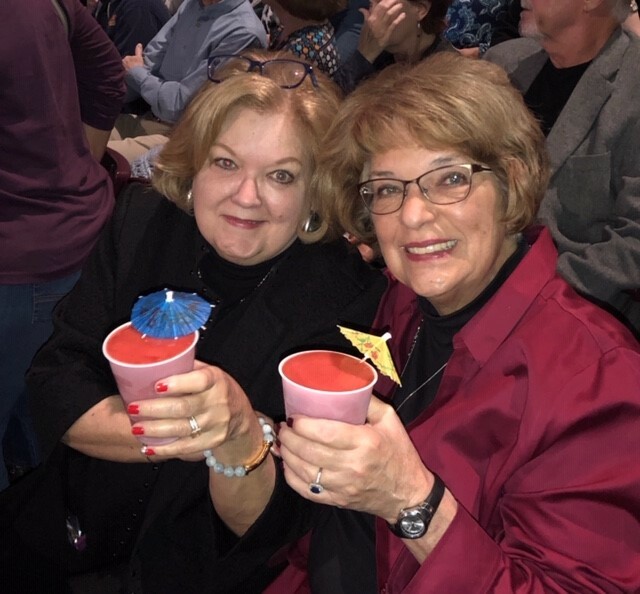 The Columbia ‘Ya’s’ got treated to a James Taylor concert last Friday with Betsy and Colin (Libby’s daughter and son-in-law. )* No matter what has been going on James Taylor can heal every illness known to man or woman. Looking great girls! Oh I’m laughing…given your abundence of friends I can imagine you seek alone time. Not for long but for a little while. You are truely blessed with people who care. I am so very blessed…so that is why it makes me sad to see so many young people living in loneliness and isolation…trying to substitute “likes” and comments on iPhones from strangers who aren’t going to be there for you when the going get tough…nothing works but face to face conversation to fill that void of loneliness in us. Close relationships are the axle of a fulfilled life. Looking forward to connecting again!! !